Ongoing work in this area includes that undertaken by both the University of Exeter [UK-Caribbean line] and the National Oceanography Centre (NOC). The NOC is working with shipping companies to improve links and communication between the research and maritime sectors. To this end a meeting is being planned bringing together shipping companies and the scientific community. This will be held at Lloyds Register, Southampton in October 2015. The Surface Ocean CO2 Atlas (SOCAT), which provides global synthesis products of surface ocean fCO2 (fugacity of CO2) upon quality control. 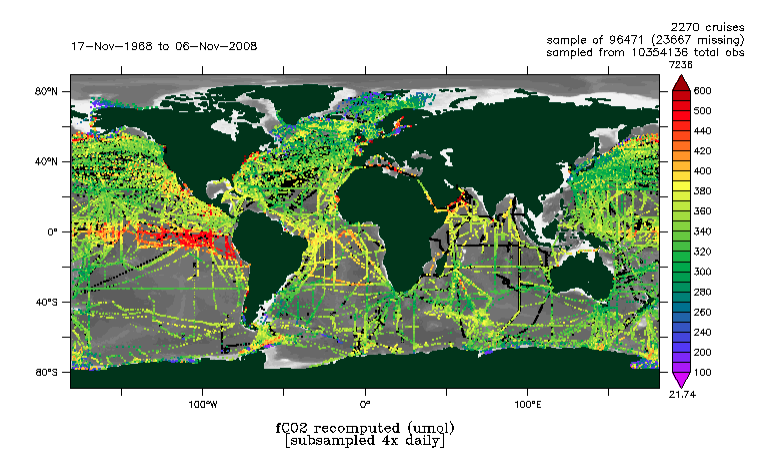 SOCAT version 3 (to be released on 7 September 2015) has 14.7 million fCO2 values for the global oceans and coastal seas from 1957 to 2014 (Bakker et al., 2014). Work at the University of Exeter is further utilitsing the SOCAT data product and the neural network methodologies to develop comprehensive flux maps over seasonal, annual and decadal timescales of sea surface pCO2 and air-sea CO2 fluxes in/across the global ocean (Landschützer at al., 2013). 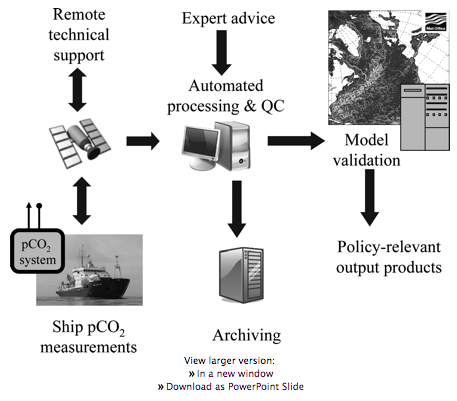 Scientists and engineers at the National Oceanography Centre are working on technology development including platform and sensor development to improve CO2 measurements in the surface ocean. 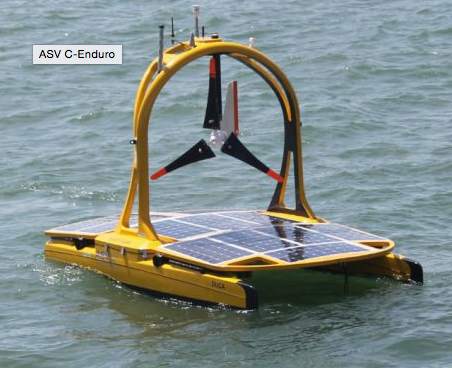 C-enduro the autonomous surface vehicle (ASV) developed by NOC scientists in collaboration with industry partners is one type technology being developed for such observational purposes. Currently there are no direct funding streams allocated to support the activities of the UK contribution to the Ocean Thematic Centre. To date, this work has been undertaken through in-kind contributions of the various institutions and HEIs. Currently, the agreement for the OTC is that member states hosting ICOS core functions will fund 80% of the operational costs. The remaining 20% will be funded through ICOS membership contributions. Much of the UK OTC work is already being undertaken by the UK marine science community and would not be an additional workload. Secure funding streams for the necessary staff time to complete these actions needs to be identified.